Like laser marking systems, dot marking machines can be used to stamp traceability information onto a variety of materials. Unlike a laser, it’s not a beam of light that’s used but a sharpened carbide pin stylus. The marks are made by tracing and incising a series of micro-dots at an adjustable impact force. Text, logos and 2D matrix bar codes can be deeply engraved and made to last in the harshest of manufacturing environments. Dot marking is a ruggedly simple process so it is ideal for less sophisticated applications and for low volume products, for example marking truck bodies. Dot marking systems can be used on plastics and wood but are primarily used on metals. Workpieces that are extremely hard (including hardened steel up to 65Hrc), uneven or flat or curved can all be marked without experiencing high stresses of deformations. Dot marking machines can be pneumatically or electrically driven. Pneumatic systems use air pressure to drive the stylus down into the material. Adjusting the air pressure entering the system increases or decreases the marking depth, with the system moving up and down at between 80 to 100 times per second. Pneumatic systems deliver deeper, smoother looking marks at a faster marking speed than their electrical counterparts. 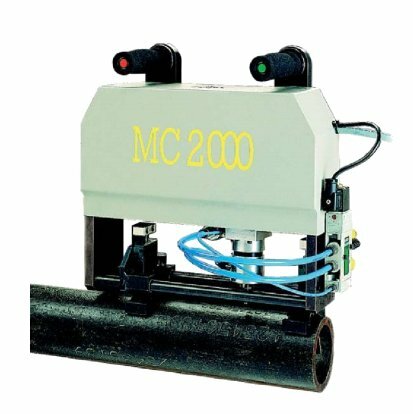 However, electric systems provide a useful alternative, especially for low stress marks and where a pneumatic pump and the associated equipment and hoses are not practical,. These base elements then break down into a wide range of permutations including benchtop, portable, mixed mode and integratable marking machines with an additional choice of marking area – from 50x17mm to 200x35mm.